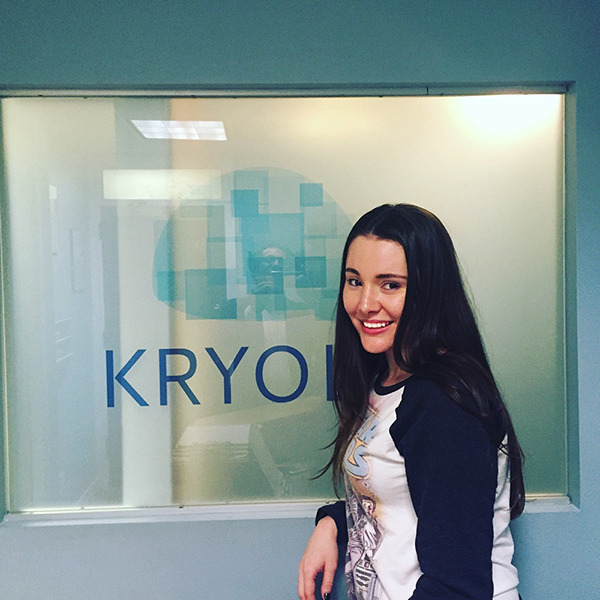 Home MyTopFace Expert MyTopFace Gets a Cryotherapy at Kryolife and Fall Instantly In Love! 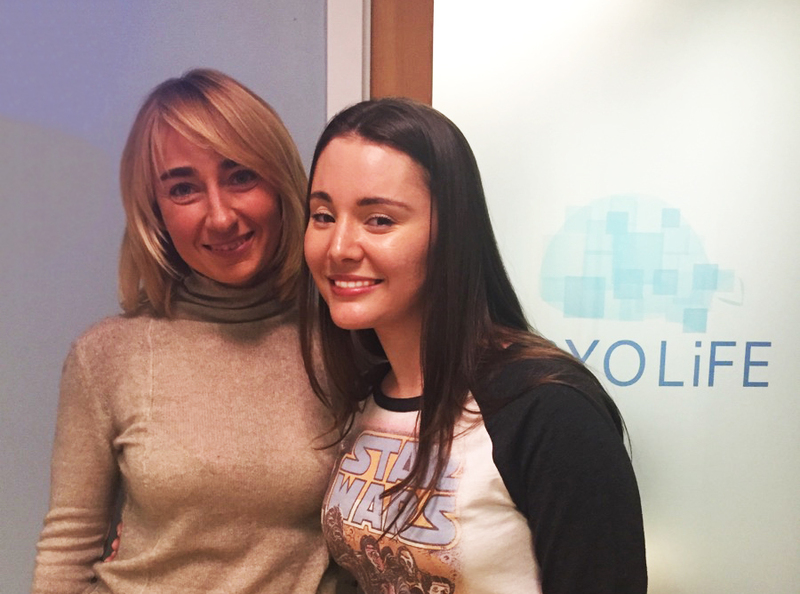 MyTopFace Gets a Cryotherapy at Kryolife and Fall Instantly In Love! We’ve heard about Hollywood stars doing wild and wonderful (and sometimes scary) treatments or facials to get their skin looking as amazing as it does! We don’t blame them though, if you’re being chased by the paparazzi all day, you need to look good, healthy, and glowing! 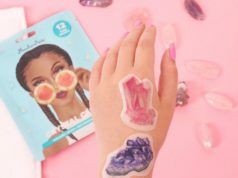 Well, we may have just discovered one of their latest beauty secrets and its chillingly cool, and we mean that literally! Cryotherapy is a treatment that has been used not only for facial skin treatments but for the entire body. So we sent out our NYC MyTopFace Expert to go and try out this celebrity facial fad for herself at KryoLife, and she was super excited to tell all of you just how great it truly was! MyTopFace: Cryotherapy is a treatment that is meant to boost your immune system and give your skin a naturally refreshing glow. This treatment is starting to become wildly popular among the stars of Hollywood, and the elite of NYC, can you tell us when and how cryotherapy started? Joanna: Whole body cryotherapy (wbc) treatment was invented in Japan, in the 70’s to reduce inflammation and pain in rheumatoid arthritis patients. It was further developed in Germany, and then Poland, who became the leaders in wbc in the world. From there, KryoLife brought it right to NYC and the East Coast of America. MyTopFace: Please give a detailed and step-by-step description of what the cryotherapy process is, and what steps you took on our MyTopFace Experts treatment? Joanna: The KryoLife staff asked the MTF expert to sign the release form, then she was assisted to a changing room where she was provided with a robe, socks, gloves, clogs and a towel. From there (well, she was very patient and kind enough to wait, thank you) she was invited into the cryosauna room where she was explained how the process would work… and then (surprisingly) it looked like it was not too cold for her and she enjoyed the treatment! With the Kryo-facial massage, you simply lie down, relax, and your face is being massaged with cold air. MyTopFace: We’d love to hear more about the benefits of cryotherapy and why cryotherapy has this effects on the skin? Joanna: Whole body cryotherapy was designed to reduce inflammation and pain. However, application of the modality revealed that it has a much greater positive healing impact on the body. It effectively diminishes sleep disturbances, anxiety, depression and cognitive difficulties. Patients with ankyloses spondylitis report greater spinal mobility including decreased pain. Whole body cryotherapy is a valuable adjunct treatment for Multiple Sclerosis. It increases bone density, so it is used in prevention and treatment of osteoporosis. The stimulation of the immune system results in greater resilience to flu and the common cold. The modality has been enthusiastically used by athletes for biological rejuvenation and decreased recovery time, but also improvement in anaerobic strength, muscle relaxation and improved range of motion. The treatment also significantly boosts testosterone levels in men. When it comes to beauty benefits, it helps in improved skin tone, and reduced wrinkles due to a boost in collagen production, these are the main ones. Also, increased circulation, oxygenation and movement of the lymphatic system which results in improved detoxification. It also helps in the reduction in the appearance of cellulite and assists in weight loss. MyTopFace: We have also heard about the risks involved in cryotherapy, which admittedly are a little scary, what can go wrong in cryotherapy and what do you need avoid? Joanna: I’m grateful for this question. The unfortunate and tragic incident happened in Nevada, which had nothing to do with KryoLife and the service we provide, and was a result of basic negligence. One should never administer the treatment to herself/ himself without any supervision! It’s common sense. The Cryotherapy treatment is safer for our body than a hot sauna, but still, it is – 256 F.
However, there a few contraindications to wbc : untreated hypertension, undergoing a treatment for cancer, deep vein thrombosis, pregnancy, cold allergy, being under influence of drugs and alcohol – are the major ones. MyTopFace: Tell us a little bit more about the benefits that cryotherapy can have in weightless? Joanna: Whole body cryotherapy can support weight loss in multiple ways. The number one reason for obesity in the US is depression. Whole body cryotherapy is very effective in alleviating depressive symptoms. Many of our clients say they eat less and make better food choices just because they feel emotionally better and stronger. Toxicity could be another reason for weight gain, whole body cryotherapy improves circulation and movement of the lymphatic system – our major detoxification system. Sleep also plays a crucial role in the process of weight loss – whole body cryotherapy is very helpful in this department as well. Lack of movement is another reason, however, when you are overweight, it is often not easy to move more, your joints carry the extra weight and often hurt. Whole body cryotherapy will reduce the inflammation and decrease recovery in a natural way, this way you will also be more motivated to remain active. MyTopFace: Finally, how often can a person go through the cryotherapy treatment for it to be beneficial and properly effective? Joanna: For overall wellbeing and improvement in skin appearance it Is recommended to take 10 – 20 sessions every 2-3 months. I think the Kryo-facial massage is a treatment that your readers and followers would find very interesting. It is a pleasant, relaxing massage with very cold air which diminishes the size of pores, evens out the skin tone, helps with acne, reduces appearance of wrinkles, boosts collagen production, improves circulation and relaxes the facial muscles… . The MyTopFace Team would like to take this opportunity to thank Joanna and her team at the KryoLife Clinic for their wonderfully friendly and super attentive service shown to our MyTopFace expert and we cannot wait for our MyTopFace expert to go back for some more treatments!